POWERTRAINSThe 2018 Santa Fe line-up continues to offer front- or all-wheel drive and seating options for five, six or seven passengers. 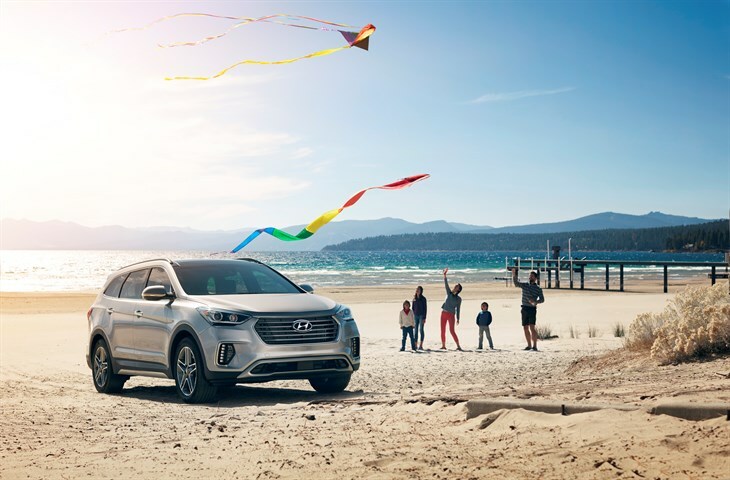 The Santa Fe Sport is powered by an efficient 2.4-liter four-cylinder direct-injected engine with 185 horsepower or the more powerful, turbocharged 2.0-liter four-cylinder engine with 240 horsepower. 2018 Santa Fe (three-row) uses the 3.3-liter Lambda II V6 engine, with 290 horsepower. All Santa Fe engines utilize high-pressure direct injection and Dual Continuously Variable Valve Timing (D-CVVT). A six-speed automatic transmission is standard on all models. Active Cornering Control and a windshield wiper de-icer is also standard on AWD Santa Fe models. GENEROUS FEATURE CONTENTSanta Fe offers a comprehensive list of standard features, including a rearview camera, automatic on/off headlights, remote keyless entry with alarm, bodycolor power side mirrors with driver’s blind spot mirror, LED headlight accents, daytime running lights, steering-wheel-mounted audio and cruise control and Bluetooth hands-free smartphone system. Premium features such as HID Xenon headlights, panoramic sunroof, navigation and an updated 12-speaker Infinity Logic7® audio system which features QuantumLogic® Surround and Clari-Fi™ Music Restoration Technology are available. Also available is Hyundai’s innovative power Hands-Free Smart Liftgate with Auto Open, which makes it even easier for owners to gain access to the cargo area whenever their hands are full. This system makes it easy for the driver to keep both feet comfortably on the ground by simply standing within a few feet of the rear bumper with the key fob in a purse or pocket for a few seconds. 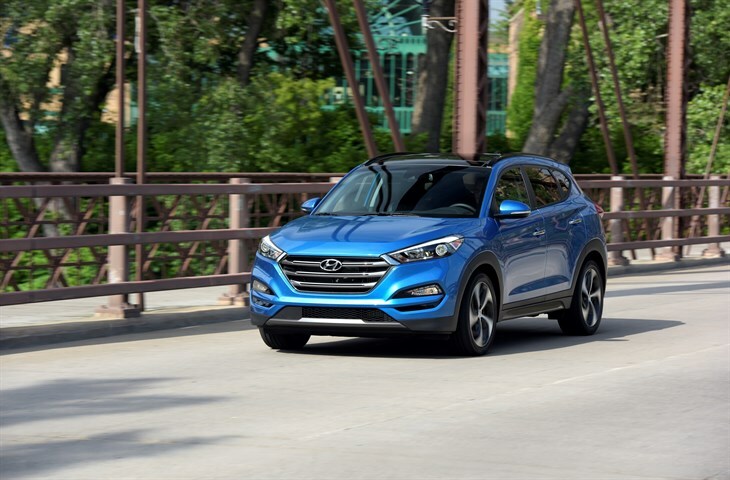 BLUE LINK® STANDARD SERVICESFor 2018, Hyundai is making a variety of services standard on all Blue Link-equipped Santa Fe and Santa Fe Sport models. Blue Link Connected Care, Remote and Guidance packages are now free for three years. Some of these Blue Link services are now also accessible via smartphone, smartwatch and virtual assistant devices like Amazon Alexa and Google Home, such as Remote door lock, Remote Start with Climate Control, Destination Search by Google® and the Monthly Vehicle Health Report. ANDROID AUTO™ AND APPLE CARPLAY™ SUPPORTBoth Santa Fe and Santa Fe Sport are compatible with Android Auto and Apple CarPlay for seamless and intuitive operation of the most commonly-used smartphone functions, including navigation, streaming audio, voice-controlled search capabilities, making phone calls and sending messages along with more than 40 approved smartphone apps. Android Auto is compatible with Android phones running Android 5.0, Lollipop or higher. Apple CarPlay is compatible with iPhone 5 and later models running IOS 7 and above. SAFETYStandard safety equipment on the 2018 Santa Fe lineup includes Vehicle Stability Management (VSM) with Electronic Stability Control (ESC) and Traction Control System, seven airbags, including a driver’s knee airbag, four-wheel disc brakes and ABS with Electronic Brake-force Distribution (EBD) and Brake Assist, Hill-start Assist Control (HAC) with Downhill Brake Control (DBC) and a Tire Pressure Monitoring System (TPMS). FOUNTAIN VALLEY, Calif., June 1, 2017 – Hyundai Motor America today reported May sales of Hyundai and Genesis branded vehicles of 60,011 units, a decline of 15 percent compared with May 2016. Retail sales for the month were strong with the overall decline attributed to a temporary reduction in fleet deliveries compared with May of last year. 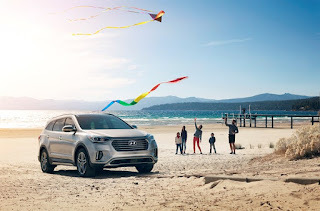 HYUNDAI BRAND HIGHLIGHTS“In May, we continued our positive retail sales momentum on the core products in our lineup—Sonata, Elantra, Tucson and Santa Fe—which all saw increases compared to last year,” said Derrick Hatami, vice president of national sales, Hyundai Motor America. FOUNTAIN VALLEY, Calif., May 24, 2017 – The 2013 to 2016 model years of Hyundai’s Santa Fe have been named best used car for the Full-size Crossover/SUV in CarGurus’ first annual Best Used Car Awards. The award recognizes the best recent-year used models across seven categories and takes into account things like long-term value retention and driver satisfaction. 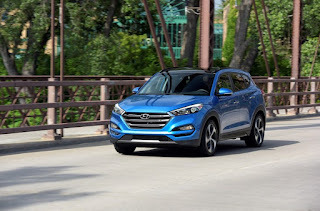 The Santa Fe was recognized by CarGurus as a jack of all trades, scoring well among experts reviewing the vehicle and topping competition including the Ford Expedition and Dodge Durango in expected value retention. Features including Apple CarPlay and a streamlined interface were also recognized, with CarGurus noting that the vehicle delivers comfort, technology and space for used car buyers. CarGurus determines the award winners based late model cars originally available for sale in the United States. Vehicle generations which include the 2013 model year are considered in their entirety when evaluating nominees. Nominees are evaluated on criteria including CarGurus users’ reviews, professional test drive reviews, and projected 12-year depreciation. The model with the highest overall score was determined to be the winner for each category. FOUNTAIN VALLEY, Calif., May 23, 2017 – In another recognition of its delivering both value and fun for drivers in the compact category, Hyundai’s 2017 Veloster has been honored by Kelley Blue Book’s KBB.com with inclusion in its annual ‘10 Coolest Cars Under $18,000’ list. As one of Kelley Blue Book’s longest running lists, the recognition highlights dynamic vehicles that remain affordable to a wide array of consumers. 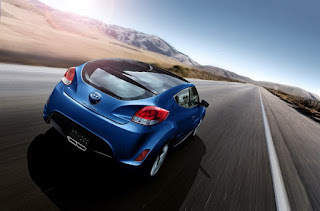 Kelley Blue Book awarded the Veloster citing its “utterly unique” styling, particularly the three-door configuration, coupled with a long warranty and low price to offer consumers high value. 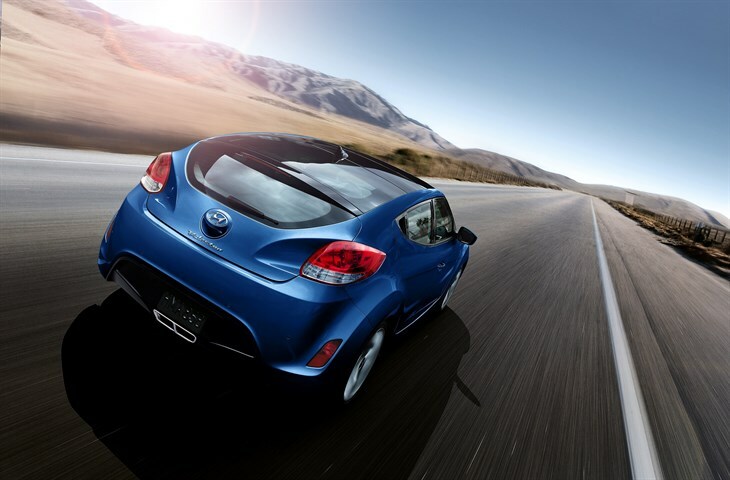 With bold design features on both interior and exterior, an available 6-speed EcoShift® Dual Clutch Transmission and a five-star NHTSA safety rating, the Veloster provides value and owner experience like nothing else in its class. ABOUT KELLEY BLUE BOOK (www.kbb.com)Founded in 1926, Kelley Blue Book, The Trusted Resource®, is the vehicle valuation and information source trusted and relied upon by both consumers and the automotive industry. Each week the company provides the most market-reflective values in the industry on its top-rated website KBB.com, including its famous Blue Book® Trade-In Values and Fair Purchase Price, which reports what others are paying for new and used cars this week. The company also provides vehicle pricing and values through various products and services available to car dealers, auto manufacturers, finance and insurance companies, and governmental agencies. Kelley Blue Book Co., Inc. is a Cox Automotive™ brand.